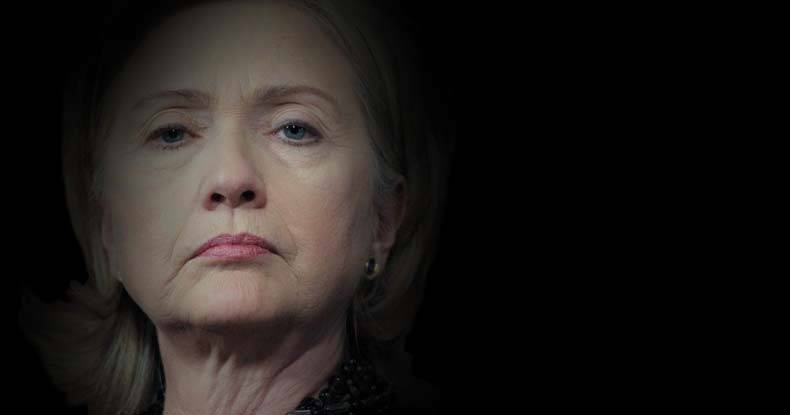 As her clearly delusional and overtly corrupt supporters cheer her on, Hillary Clinton manages to avoid prosecution, scrutiny and maintains a public persona, thanks largely to the mainstream media, as if she is the nation’s wonderful mother figure. To the Futurama fans out there, however, the only motherly figure Hillary Clinton resembles is the not-so-wonderful Mom, from Momcorp. Still, her ardent supports overlook ties to the banking elite, her complete lack of accomplishments, and her horrific record overseas. But, thanks to the recently leaked Panama Papers, that public persona is getting peeled back layer by layer. Recently leaked names from the papers link the campaign financed-careers to Hillary and the former President Bill Clinton to those who use the offshore tax shelters. Not only do their financiers use unethical offshore tax-havens, but many of them out downright criminals. Earlier this month, the hypocritical Clinton blasted those who were exposed and tied to the offshore tax havens. Shortly after she publicly decried those who use shell companies, her two shell companies in Delaware were exposed. Hillary and Bill Clinton quietly set up two shell companies listed at “1209 North Orange Street” in 2008 and 2013, the Washington Free Beacon has found. The names of the companies, but not their location, were first made public in tax filings released by Hillary Clinton last year. According to records, one of the Clintons’ “1209 North Orange Street” companies is WJC, LLC, which was set up by Bill Clinton in 2008 as a pass-through for his consulting fees. Another company at the same location, ZFS Holdings, LLC, was set up in February 2013, one week after Hillary Clinton left the State Department. Hillary Clinton received $5.5 million from her book publisher, Simon & Schuster, through the company. As if running shell companies in the US wasn’t hypocritical enough, the Clinton’s have been exposed by a report from McLatchy showing them to have multiple connections with people who have used the besieged law firm Mossack Fonseca to establish offshore entities. These ties are not only friendly ones but financial relationships directly responsible for funding their campaigns. According to the report, among those ties, are Gabrielle Fialkoff, finance director for Hillary Clinton’s first campaign for the U.S. Senate; Frank Giustra, a Canadian mining magnate who has traveled the globe with Bill Clinton; the Chagoury family, which pledged $1 billion in projects to the Clinton Global Initiative; and Chinese billionaire Ng Lap Seng, who was at the center of a Democratic fund-raising scandal when Bill Clinton was president. Also using the Panamanian law firm was the company founded by the late billionaire investor Marc Rich, an international fugitive when Bill Clinton pardoned him in the final hours of his presidency. These ties are both recent and decades old, exposing the unscrupulously financed and criminal careers of the Clintons dating back to the 1970s, when Bill was just coming on to the political scene. While the names of the Clintons themselves have yet to come from the Panama Papers, it is clear that their super elite and criminal connections were made early on, and have been maintained for decades, which reveals their ‘down home, self-made, American family’ sales pitch as a complete fraud.